It may not be within the next year, but it could be within the next three that having a box dedicated to TV programming sitting under or next to your television will no longer be the norm. Instead, more universally usable entertainment devices will become the hub for not just video, but pictures, music and, most likely, gaming. The first baby steps toward a cable box free family room look like they may be happening within the coming weeks, with Bloomberg and several tech sites reporting rumors that Microsoft is on the verge of landing a deal that will net their Xbox 360 access to some or all of Verizon and Comcast's cable television. But what exactly does that mean, more importantly what doesn't it mean. I don't have a crystal ball, but here's what I think. 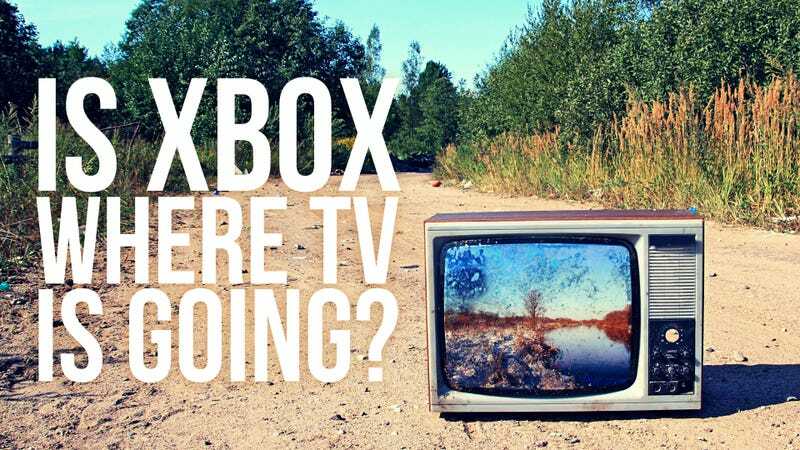 In the short term, I think those rumors don't mean that come this winter Xbox 360 owners will be flipping through more than 100 channels of television with their Xbox 360 remote or by using Kinect's ability to sense movement and respond to voice commands. I think that's coming. I'm even will to say that's absolutely coming. But I suspect that two of the biggest cable providers are going to start with something a bit lighter. I'd expect that first taste of Comcast Xbox 360 owners will get on their console will be something akin to what iPhone owners already have: The ability to stream those oodles of free and premium on-demand shows straight to their television. That seems to not only line up with Bloomberg's report that Microsoft also expects to sign deals with folks like HBO, Sony Pictures Entertainment's Crackle streaming service, NBC Universal's Bravo and Syfy channels; but it also fits with the notion that a massive cable provider won't be going all-in on this experiment util they test the waters. The PS3, Wii and Xbox 360 all already have Netflix streaming and the PS3 and Xbox 360 both also have their own video rental service and Hulu. Adding another way to view video seems like a perfect fit. If the service is a hit, I can see the cable companies starting to shift their attention to the consoles as cable boxes, but with new consoles inbound from Nintendo, Microsoft and Sony within the next three years or so, it's likely that those efforts would be applied to better implementation. A video game console built not just for gaming, but for entertainment has plenty of advantages. It makes transitioning from one form of entertainment to the next a much more seamless operation. Imagine getting a pop-up on your television while in the middle of playing Madden NFL 2016, telling you that the latest episode of Psych just started. A single button push pauses the game and drops you straight into the show. Or the opposite. Maybe you're watching a show and a friend shoots you an invite asking you to play a round of Call of Duty. A button-push starts recording the show and drops you into the game. The constant streaming of television programming and movies to your TV could also help get gamers used to the notion of virtual game ownership, something many are still struggling with. Perhaps over time, the idea of streaming a video game will feel no less weird than streaming a television show. There's also something to be said about the ability to add a set of options and controls universal to all entertainment. As a parent, I relish the idea of being able to set a series of parental controls once that will impact the movies, the pictures, the web browsing, the TV shows, the music and the games my son is allowed to experience. While some television producers may be reluctant to share face time with mature rated games, I think that time is passing and strong parental controls will help the issue along. I also love the idea of having one controller for everything. They exist now, but this would be hardwired to the console, so perhaps a bit easier to use. For all of the benefits of universal entertainment, there are also some things I can't imagine cable companies ever doing. This is unlikely to significantly impact pricing. Because, well, cable companies like all companies like money. I also don't see this changing the way we purchase television programming. In other words, having a gaming console instead of a cable box won't convince the cable companies that they should suddenly introduce a la cart channel choices. You're still most likely going to be forced into buying a package of channels that include a wide variety of options you don't want. The biggest reason I see all of this happening is because it increases the accessibility of both a gaming device and a cable box for most everyone. Cable companies get a crack at reluctant TV watchers and a way to recoup all of those lost eyeballs, game console makers get a crack at uninitiated gamers and advertisers get a crack at everyone.